Former New York State Chief Judge Jonathan Lippman, speaking at a CityLaw Breakfast on January 23, 2019, powerfully argued that the time has come to close Rikers Island, New York City’s notorious jail located on an island in the East River. 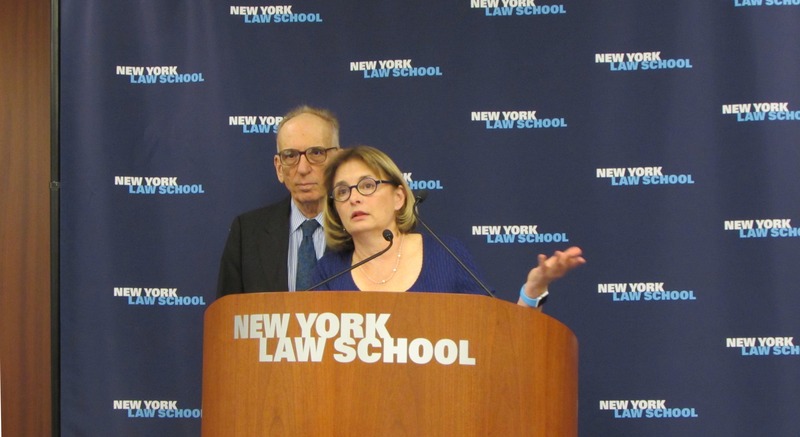 Judge Lippman’s remarks echoed the 2017 recommendations of the Independent Commission on New York City Criminal Justice and Incarceration Reform which Judge Lippman chaired. Judge Lippman spoke at the breakfast in a question and answer format as a way to bring the audience into the conversation. Judge Lippman was questioned by Greg Berman, director of the Center for Court Innovation. A transcript of Judge Lippman’s passionate and persuasive remarks follows. The project will include the expansion of the Lower Manhattan shoreline and four capital projects devoted to the resiliency of Lower Manhattan neighborhoods. On March 14, 2019, Mayor Bill de Blasio announced the Lower Manhattan Coastal Resiliency (LMCR) Project. The project is one of the City’s responses to the aftermath of Hurricane Sandy. Hurricane Sandy was a turning point for the City to tackle infrastructure resiliency. Hurricane Sandy resulted in $19 billion of devastation for the City and particularly impacted Lower Manhattan. The storm resulted in power outages and flooding in homes, businesses, and tunnels. Since Hurricane Sandy, the City has worked to assess Lower Manhattan’s climate change impacts and risks and analyze coastal protection options for the area’s 3.3-mile shoreline. Proposed buildings were home to prominent sheet music publishers in the late 1800s and early 1900s. 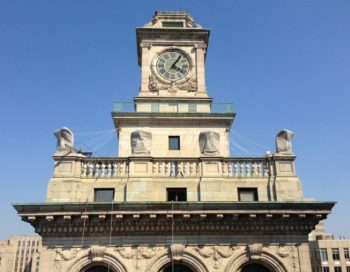 On March 12, 2019, the Landmarks Preservation Commission voted to add five buildings on West 28th Street between Broadway and Sixth Avenue to its calendar for consideration for landmark designation. The five buildings – 47 – 55 West 28th Street – represent a time when the street was known as “Tin Pan Alley” due to the noise of all of the piano music from various sheet music publishers located on the block. The $30 million reconstruction project brings brand new amenities to the historically underserved Brownsville park. On March 19, 2019, Department of Parks and Recreation Commissioner Mitchell J. 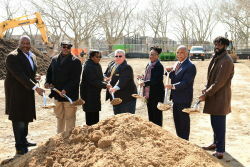 Silver, Council Member Alicka Ampry-Samuel, Brooklyn Community Board 16, and local students and residents broke ground on the reconstruction of Betsy Head Park in Brownsville, Brooklyn. Betsy Head Park’s reconstruction is one of the five projects of Mayor Bill de Blasio’s Anchor Parks Initiative, a $150 million project to reconstruct five major parks around the City. The project plans to bring major amenities to the parks such as new soccer fields, comfort stations, running tracks, and hiking trails. The former HPD Commissioner will continue to work on affordability and economic opportunities for the City. On April 4, 2019, Mayor Bill de Blasio announced the appointment of former Department of Housing and Preservation Commissioner Vicki Been as the new Deputy Mayor for Housing and Economic Development. She succeeded Alicia Glen, who served in the position for five years. Parks provide multiple benefits in dense urban environments, from recreation to mental health to sustainability and resilience. But staying on top of daily wear and tear and addressing the structural deficiencies of aging infrastructure need to be funded. How should we pay to create and maintain our public realm? Park practitioners and advocates from New York City and beyond explored what options exist for ensuring parks in all five boroughs have a sustainable financial future.